GJP Floor Sanding Company is a independent, professional team of floor sanding experts operating in Surrey with customer service at the heart of its operations. Over the years we have earned an excellent reputation as a leading floor sanding company in the Surrey area. expertise in the floor sanding business. We ensure that your wood floors are treated by the best hands in the business. We are specialists in restoring damaged wood floors to their original condition. Are your floors damp, wood worm-infested, or rotting? Being longstanding practitioners in the floor sanding business means we know what it takes to rid your floors of these problems and make them good as new. Our specialists have been trained to deliver services in the most convenient way, so that there is minimal disturbance to your daily activities. If you require expert advice on your wood floor issues, our trained specialists can make free visits to your home or business. We will advise you on the benefits of floor sanding and how to keep your wood ship shape. After completing your sanded floors, our experts can also guide you on how to make them last longer, so that they can retain that beauty. Sanding your floors is an eco-friendly practice because it eliminates the need to cut down more trees. Floor sanding is a more sustainable option than outright replacement. 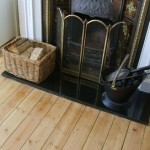 Do you want to find out more about sanding floors in Surrey? Fill our online form or give us a call today. If you are ever in an emergency need of a wood floor expert, our professional team is ready to answer your request every day of the week. If you have a dust-mite infestation or rotting wood, we are equipped to respond to your request. What’s more? Our experts respond within minutes of your call in Surrey. Take advantage of our value offerings and rid your home of any damage to your wood floors. Urgent need of a wood floor expert? Ring us on 01483600141. Due to our experience and the high quality of our equipment, we can complete your floor sanding project quickly. Wherever you are in Surrey, our wood floor experts can provide a free initial quotation, and then work around your schedule to get the job done with minimal inconvenienct. We use the latest technology in the trade. Our dust-free sanding equipment is connected to a Hepa filtered unit, and guarantees a clean finish. With us you don’t need to worry about messy. We are one of the cleanest floor sanding companies you will find in Surrey, or anywhere else- we pride ourselves on that fact. We treat floorboards, parquet blocks, and hardwood floors. We also protect your floors with the finest seal materials available in the market. 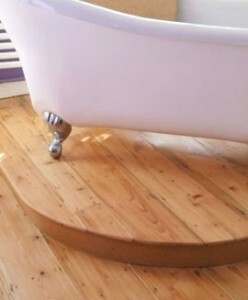 At GJP Floors Sanding Surrey, our services are affordable and you terrific value for your money.